Charlottetown combo Coyote have five members, but their sound aims for something much bigger. 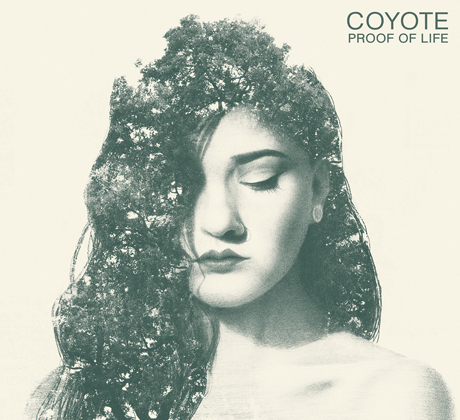 Before their EP Proof of Life is released on September 9 through Fountain Pop Records, it's available to stream here on Exclaim.ca. Opener "Your House" begins with a piano figure reminiscent of LCD Soundsystem's "All Your Friends" before swelling to a surging rock climax. Elsewhere on Proof of Life, there's a hint of funk to the palm-muted guitar licks on the dance-rock grooves of "Old News," while the title track is the most urgently upbeat song here, and closing cut "Toothache" is delivered with quiet restraint before swelling to a cinematic (yet still fairly restrained) finale. The EP was recorded with Colin Buchanan of Paper Lions. Hear it all below, and check out the band's Canadian tour schedule here.